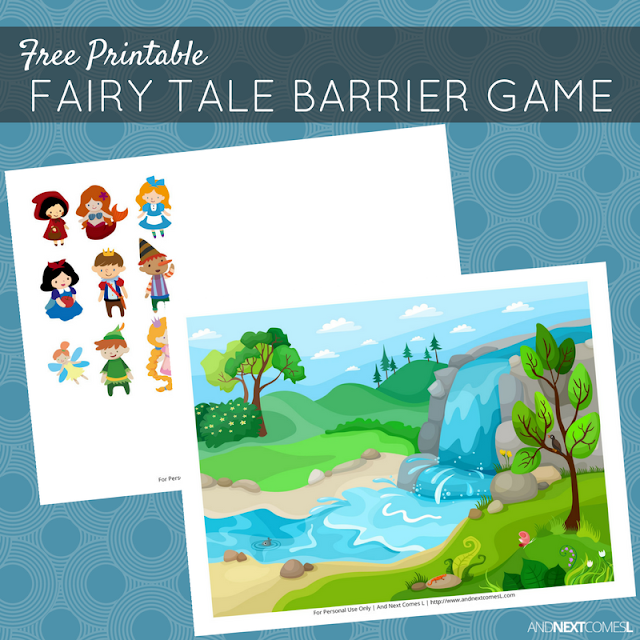 This fairy tale themed free printable barrier game is a perfect way to work on speech and language goals. 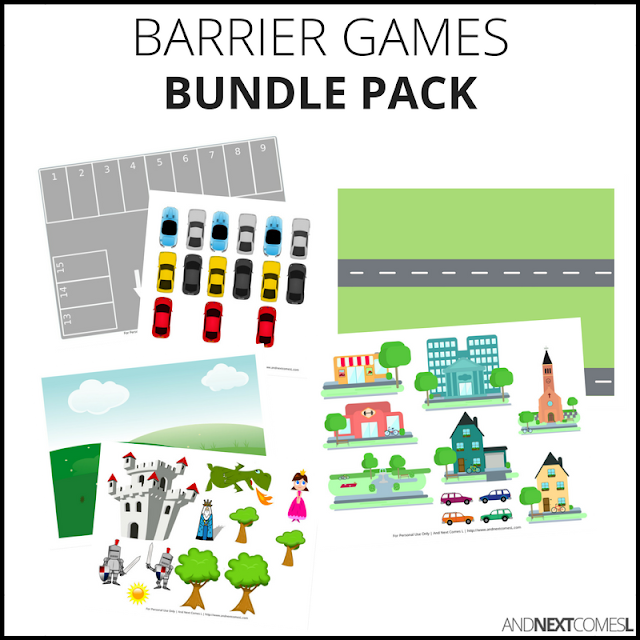 Sometimes I just stumble upon the cutest clipart and have to find a use for it, which is the case for this free printable fairy tale themed barrier game. Simply place these well known fairy tale characters on the scene to work on social skills, following directions, listening skills, speech skills, and more!